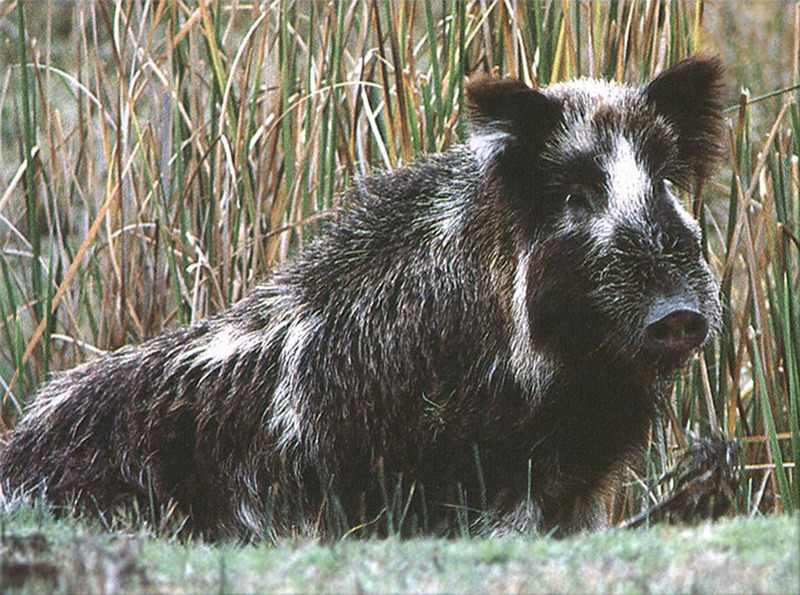 Why Are Tags and Licenses Needed for Hunting Feral Pigs? Answer: DFG requires a valid license and tag to legally take a wild pig. According to DFG Wild Pig Program Coordinator Marc Kenyon, Fish and Game Code, section 4650 says that any free-ranging, non-domesticated pig is classified as a wild pig, and therefore is considered big game. DFG instituted the tagging requirement as a means to continuously monitor California’s wild pig population. This information is used by DFG biologists, in concert with private and public landowners, to develop pig management plans that are intended to protect cultural and natural resources from the damage wild pigs are known to cause. Without the wild pig harvest report information, private and public land managers would lack the information necessary to develop these plans of action. Furthermore, the revenues generated by the sale of wild pig tags are used by DFG to monitor disease transmission, evaluate environmental impacts of wild pigs and provide the public with additional hunting opportunities. Your participation in this process is greatly appreciated. Wild pigs have no seasons or size restrictions or daily bag limit. The sale of pig tags helps generate much-needed funding for DFG biologists to use for managing pigs and the habitat where they live. By managing and improving the habitat for pigs, a wide variety of other species that occupy the same land/habitat also benefit from these efforts. Can I make jewelry from empty abalone shells I find? Answer: You can generally pick up abalone shells and shell parts for your personal use but these shells may not be sold or made into products to sell. Marine Reserves, State Underwater Parks and other prohibited areas do not allow for any shell collecting. For example, there are some public lands off of Point Arena that are owned and managed by the Bureau of Land Management (BLM). BLM allows you to take live abalone, but you are not allowed to collect empty shells. Wherever you go, you should contact the controlling agency to find out what collecting activities are legal for that area. Bear hunting with tree switch collars and GPS collars on hounds? Answer: No, the law has not changed and it is illegal to use treeing switches and/or GPS collars on your hounds when taking any mammals in California. Answer: The legal-size lobster is one with a carapace that is larger than or equal to the gauge’s cutout with no wiggle room. Be sure to measure the length of the carapace along the midline from the rear edge of the eye socket (between the horns) to the rear edge of the carapace. This straight-line measurement must be a minimum of 3 ¼ inches. If the lobster is too small, it should immediately be released back into the water. Undersized lobster should never be brought aboard a vessel, or ashore if diving from the beach. A measurement diagram is located in the brochure located on our website at http://www.dfg.ca.gov/marine/pdfs/lobsterbrochure.pdf or on page 80 of the current Ocean Sport Fishing regulations booklet. You might also be interested in the California spiny lobster information available on the Invertebrate Management Project webpage at http://www.dfg.ca.gov/marine/invertebrate. This entry was posted in Abalone, Buy/Trade/Sell/Gift, Lobsters, Methods Of Take, Wild Pigs and tagged abalone, bear hunting, big game hunting, crafts, electronics, habitat improvement, Licenses, lobster fishing, lobsters, measuring lobsters, pig hunting, regulations. Bookmark the permalink. Why does California Department of Fish and Game discriminate against military personnel that have given the best years of their lives and retired to California? This state has more military retirees than all but two other states, yet California offers absolutely no benefits to retired military personnel. Even in North Carolina retired military personnel were given a discount on their fishing license. Please give me a logical reason why jewelry can not be made out of Abalone shells found on the beach and sold? I mean a real logical reason, not one thought up by some idiot in Sacramento. If a person makes jewelry from the shells, they will be paying tax on their sales which should help the DFG cause.